Headphonaught's Nanolog: "Ghost Stories" by Coldplay ... my favourite non-weareallghosts album of 2014. 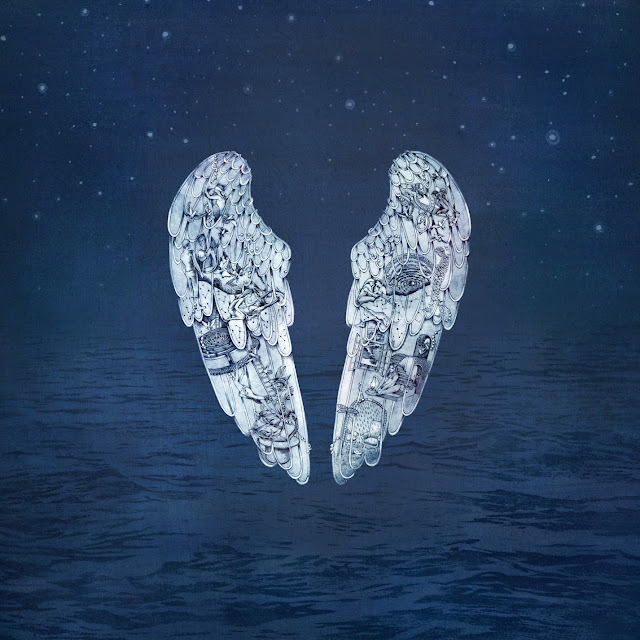 "Ghost Stories" by Coldplay ... my favourite non-weareallghosts album of 2014. It is hard to pinpoint when I fell in love with "Ghost Stories" by Coldplay, all I know is I did and I do. I love "Ghost Stories" so much that I consider it my favourite non-weareallghosts album of 2014. Why? I hear you say. I'm not sure exactly but I’m willing to try to explain why. First off ... it grew on me. I know the concept of ’a grower’ is a bit clichéd but that’s what happened. I got the initial singles but wasn’t raving about them, mainly because I am an album guy. I wanted to hear the whole album and when I did I initially thought it was a good Chris Martin solo album. It took a few listens and a view of the concert video that was prepared to promote the album to really appreciate it was a Coldplay-as-a-tight-group album. From there it just grew exponentially in my estimations. Secondly ... it became important to my whole family. My family doesn’t share a lot when it comes to similar music: definiately no prog, very little ambient (Cousin Silas' lighter work being a notable exception), some indie rock (Radiohead & Regina Spektor) and some orchestral work (soundtracks mostly). We tend to stick to the classics (The Beatles, Beach Boys, The Carpenters), some Gospel, and 80's pop like A-HA ... as well as the Muppets OSTs and One Republic. Coldplay are part of the indie rock we listen to as a family. Mostly because it is common ground. Dayna, my eldest, is obsessed with them with the rest of us digging them to greater or lesser degrees. This album, however, really clicked. It became THE album played in the car and the house - Dayna was always asking to put it on in the car & it became a real favourite of the family. Olwyn, in particular, really got behind it. Thirdly ... I got it on vinyl. As I type I have the album as a digital download (paid), on vinyl and on CD. Back in August I was given it on vinyl for my 40th from Roscoe & Janey. Since then it has received a lot of play. It was the first album I played on my Project Elemental after I set it up before Christmas. I do not underestimate the power of having it on vinyl - it became something more than the music, it was absorbed into the ritual and became part of my slightly-OCD vinyl life ... and as it was loved by my family, it got play when I couldn’t play my other fave vinyl albums - the No Prog rule extends to ’close to the edge’ unfortunately. Only ’Blade Runner’ & ’Pet Sounds’ get as much play as ’Ghost Stories’. Lastly ... I think it is sonically very accomplished with a cohesive narrative that holds the album tightly together. The sounds presented on the album really work for me. The electronics, the percussion and the rhythms, the guitars, the bass, even Chris Martin’s voice … they all work for me. It is predominately a chilled album: downbeat and rather blue … even the frenetic and upbeat “A sky full of stars” (a track I didn’t get initially but has really grown on me) has a touch of melancholy. It is this downbeat nature that holds the whole album together. This is a break-up album, one that superbly expresses Martin’s broken heart in a way that doesn’t dwell or wallow, yet somehow manages to convey so much. Whilst the album sits well in Coldplay’s body of work, it also stands out: this was a surprise, a next-plateaux record that was a real progression from their previous album. I welcome this willingness to evolve and wish more bands would follow suit. I know it isn’t ’hip’ to like Coldplay ... they seem to be an acceptable whipping boy that ’real’ music fans love to look down on & slag off. I heard the term ’bland’ used to describe their work too many times & it’s now starting to annoy me. Yes, Chris Martin can come over as a bit of a numpty some times but their music is anything but bland. It might not be your taste but don’t put it down with such a patronising term as bland. If you don’t get the music then fine ... but please appreciate there are folks that do, myself included: I really love "Ghost Stories" and consider it ... for all the reasons stated above ... my favourite non-weareallghosts album of 2014.